The task is to find the names of 11 famous classical artists (painters, musicians, writers...). 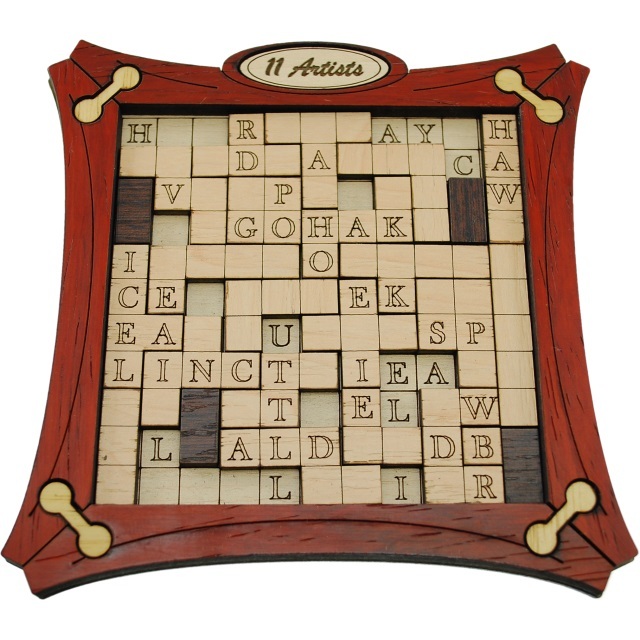 Put all pieces in a crossword lika way into the frame, so that you can read - horizontally or vertically - the names of the artists. All other letters have to be covered up. Difficulty: 6/7. Size: 13 cm x 13 cm x 0.8 cm. This product was added to our catalog on 21.06.2016.